Imphal, Jun 18 : The long halted tripartite talks involving the two umbrella Kuki underground organizations – Kuki National Organisation (KNO) and United People's Front (UPF) – the Government of India and the Manipur government will be held on August 22 in New Delhi. This matter was discussed in a Joint Monitoring Group (JMG) meeting of the KNO, UPF and the Manipur government at the Banquet Hall of First Manipur Rifles, Imphal today. The Manipur government side was led by Principal Secretary (Home) Suresh Babu while around 22 leaders of KNO and UPF participated in the meeting. JMG-UPF Convener Sanga Hmar led the UPF team while Dino Zou, convenor of JMG-KNO led the KNO delegation. Additional Director General of Police (ADGP) LM Khaute, Additional Secretary (Home) Bobby Waikhom and two officials from IGAR (South) also took part in today's meeting with Principal Secretary chairing the programme. Issues on the coming New Delhi Tripartite talks dominated today's meeting. The controversial KNLF designated camp of Semol in Chandel district was also discussed. KNLF is a unit of KNO. 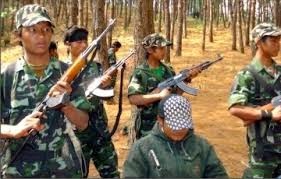 The KRF, a unit of UPF will have now its designated camp at Phingsat in Sadar Hills, Senapati district which was earlier opposed by certain groups. The demand to raise the monthly stipend or salaries of the cadres under Suspension of Operation (SoO) was also discussed. The outfits under SoO have been demanding to raise the monthly stipend/salaries which is manageable for a family. Issue of providing licensed guns, ID cards and opening of bank accounts for the SoO cadres were also discussed. Whenever things acquire troublesome and conjointly you would like additional cash, some variety of conception loan would be the most effective sort of real estate loan for you in person. You receive the quantity of cash you may need; you retain your automotive and conjointly we have a tendency to title loan just support the title to the vehicle before the monetary merchandise are paid out utterly, wherever occasion this title are came back for you freed from charge and conjointly apparent. It's that simple.